Domain Name: Simply put, the domain name is the address you type into your browser when you want to reach the site. For example, http://dsign.site. There are a lot of domain name registrants that you can easily google. The price can vary from $/€10 per year to several thousand if the desired name is common or attractive. You can choose different extensions: .com is the most popular and stems from the word Commercial, other popular extensions are: .org (organization), .net (network), etc. Hosting Service: : A Hosting Service is, metaphorically speaking, a jar that stores your information; in our case, website data. There are different types of hosting: shared hosting, private server, etc. Shared hosting is usually enough, even for small businesses. Prices for shared hosting range between $/€2-20 per month. The price depends on the hosting speed, ability to use certain services like SSL and CloudFlare (for spam and protection from hosting server problems), disaster recovery, etc. You can always save good money if you subscribe to a package deal and order 6 months to several years of hosting. Make sure that the hosting provider supports the engine you want to build your site on. If you're planning to work with a web designer, it is better to postpone this decision and discuss it with a professional. *Tip: You can often receive a domain name as a gift from your hosting provider. Your Brand Identity/Logo: You may already have a logo, but if you don't then you will definitely need one. Often the logo-creation is combined with web design. Some people or companies prefer to hire a brand designer to work on the logo and create mock-ups for their products. Prices here start at $/€200 per logo, however, you can create one yourself using a specifically desired font with minimal Photoshop knowledge. You can also google "online logo creator". Web Design: The going average for a landing page is around $/€500. Five-page custom built websites start around $/€1500. Promotion: : Do you currently have an audience for your potential product or service, or are you just starting and need help building one? In the latter case, you can use services like Google Adwords or it's other competitors. The going fee for such services are around $/€200 per month to attract some clientele. You can also pump up your social networks. Today Pinterest is one of the most efficient social tools to promote your site. 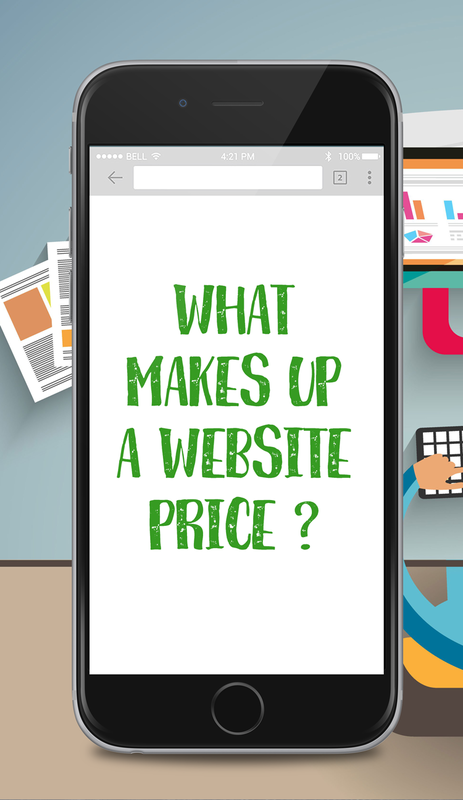 The price for a good, professional looking website will cost around $/€2,000 to start. A compromise for a low-funded company could be buying a professional template which costs around $/€200, and hiring a web designer to customize it for you. Please leave your comments below and share your opinion. Why responsive design is important for you?